Jacky Bibliowicz, Azam Khan, Anne Agur, Karan Singh. 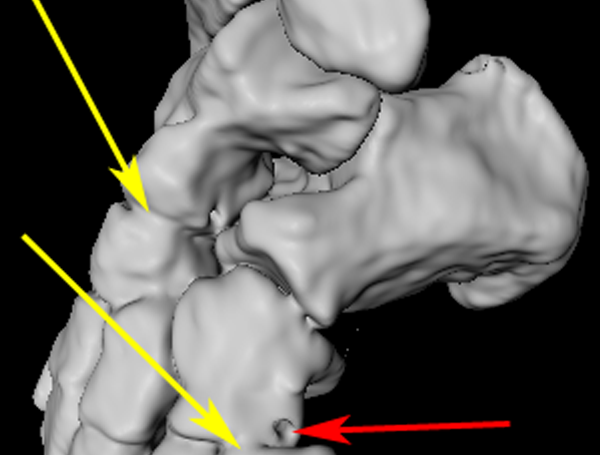 High-Precision Surface Reconstruction of Human Bones from Point-Sampled Data. International Summit on Human Simulation. 2011. We present our efforts to build a database of high quality, multiresolution reconstructions of human bone shapes. We state our rationale for using laser scanning as our digitizing process and describe our reconstruction pipeline. Additionally, we describe the semantic and metadata that is kept with each digital sample and our initial efforts to validate our results. A preview of our database is available online and will be openly available for research in anatomy, education, and biomechanical simulation.